The Best Aloe Vera Moisturizer! Corium 21 is far beyond your normal lotion. Its unique balance and blend of nutrients, vitamins and emollients allow for the full benefits of aloe vera to help restore even the most severe dry skin. Corium 21 is a moisturizing, rejuvenating and healing lotion. With its number one ingredient as Barbadenzis Miller aloe vera, it is the best aloe vera moisturizer to treat a wide variety of skin ailments. Enter your email below to receive special offers and updates on when and where to find us at events in your area. PLUS, look for our monthly beauty tips! It contains your 20% Off Coupon Code, which you will need when you place your order. Did you know that there are over 180 species and 2,200 varieties of Aloe? 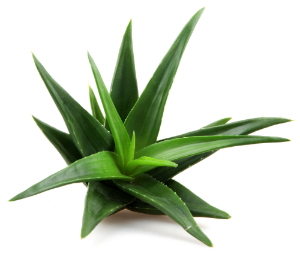 There are 180 species and 2,200 varieties of aloe. Barbadenzis Miller is the most effective variety of aloe vera in the moisturizing, rejuvenating and healing of most dry skin problems. That’s why we use it in Corium 21! Try Corium 21 Moisturizing and Healing Cream with the most potent Aloe Vera in the world and never have dry skin again! Many of our customers find Corium 21 to be more effective than Neem, Super Blue Stuff, Emu Oil, MSM oil, Dead Sea Salt, Infinite Aloe, Pro Bema, Hawaiian Moon Aloe, and many other Dry Skin Cream products. Corium 21 works great on extremely dry skin, abrasions, acne, allergic rashes, burns, chapped lips, eczema, rosacea, sunburn, varicose veins, warts, and much more! If for any reason you are not happy with your purchase of Corium 21, please return the unused portion to the place of purchase for a full refund.